Steve Stagon invited me, in 2011, to attend and report on a presentation by medical professionals about EGRIFTA, a new drug to decrease the accumulation of interstitial (organ) fat that besets some HIV positive men. I lived through the earliest years of AIDS and watched friends lose their looks because of the virus and the meds. Many of them would become reclusive and fall victim to a chain reaction of related health issues so I was eager to learn about EGIFTA. I’m also glad to have met Steve, a survivor who has since become a successful activist for the HIV positive community of South Florida and now the founder of the World AIDS Museum in Wilton Manors. That story “EGRIFTA, Erasing The Scarlet Letter Of HIV” from March of 2011 has become a highly story on SFGN’s website so I decided check back in with Steve. When I contacted him for an update about EGRIFTA, he said, “The drug worked for me but I had to stop taking it because my doctor biopsied some cells on my tongue that proved to be cancerous. Although I am free and clear of that cancer, I am a cancer risk and EGRFTA might spark that kind of cell growth. Many of the men in my POZitive Attitudes group chose to start taking EGRIFTA after the presentation you attended and they are pleased with the results. It is still difficult to get insurers to cover it because some of them think it is cosmetic. They don’t understand the health risks.” When I asked Steve if any new versions of treatment have surpassed EGRIFTA, he said he was unaware of any. Steve continues to moderate and facilitate POZitive Attitudes, a topic-driven and peer-led support group for gay and bi men who are infected with or affected by HIV/AIDS. The group, in its fourteenth year, meets every Wednesday at the Pride Center in Wilton Manors. Shortly after I first met Steve, he contacted me about his idea to establish an AIDS museum. I ended our meeting by giving him a list of tasks I thought were essential: assembling an influential board, finding a suitable location, getting legal help to set up a 501c3, securing funding, etc. I drove home that day thinking he’d never be able to realize his dream. I am happy to report that I was wrong. His World AIDS Museum is a huge success. 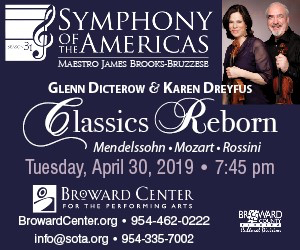 Its recent grand opening gala featured a performance by the South Florida Symphony. On January 10, The SmartRide announced a grant of $5,000 to the museum. Steve Stagon may be a survivor, but he is also the future of the HIV/AIDS community of south Florida. Column: Is God Still Listening To Ray Boltz?